Former president Jacob Zuma reminded potential voters in KwaZulu-Natal on Monday “that Rome wasn't built in one day”. 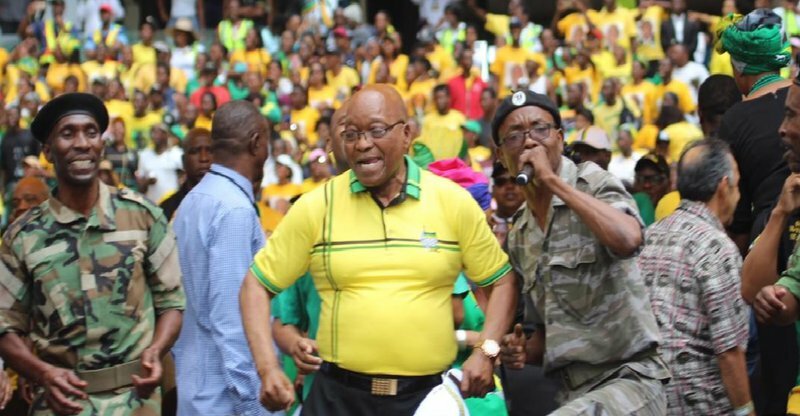 Zuma was campaigning for the African National Congress (ANC) in the Musa Dladla region ahead of the May 8 elections. Speaking in isiZulu, Zuma said fixing a country plagued by problems will not happen overnight. "It's no secret that fixing a country that was once plagued by apartheid does not take a day or two, it will not happen overnight but it takes a long time." He said voting for the ANC means you are voting for a party in motion. "You're not voting for a party without change or one without direction. When voting for the ANC you are voting for a car in motion. You are not voting for a car whose condition you don't know - whether or not it has petrol, proper working gear or not it will break down along the way. “Take the car you know and leave the one you don't know because you could get lost. Maybe it's not going where you are going and it's going elsewhere. “Vote for a party you know is going forward." Zuma called on opposition parties to tell the country how they will govern should they be voted into power. "We want content. Tell us how you will govern. Tell us how you have governed."